Between the San Andreas release and other earthquake hoaxes circulating the internet, there’s been a lot of talk lately about the impact of these disasters. But there hasn’t been as much talk about the importance of earthquake preparedness and safety. Being prepared for an earthquake is the best way to ensure your family’s safety and resiliency following a major disaster. Does my family have an emergency kit? Do I know where the gas shut off valve is in my home? What if an earthquake struck while I was in bed? Or the living room? Or garage? Would I know where to look for cover? Where’s my flashlight, and do the batteries work? Check out some other earthquake preparedness tips here on our website. 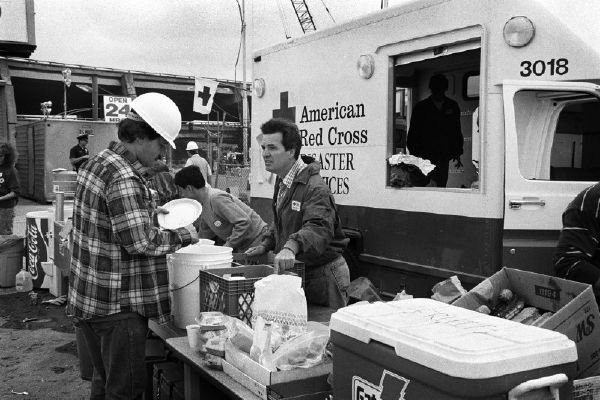 But when “the big one” strikes, rest assured that the Red Cross will be there providing hope and comfort, just like we were there for Nepal last month, and just like we’ve been there for historic Bay Area earthquakes like the 1906 San Francisco quake. So don’t let San Andreas leave you shaking in your boots. Make sure your family is Red Cross Ready for any disaster, including earthquakes. If you’re in Kern County this weekend, stop by and visit us at the Marketplace movie theater where we’ll have volunteers and earthquake information to help get you prepared! 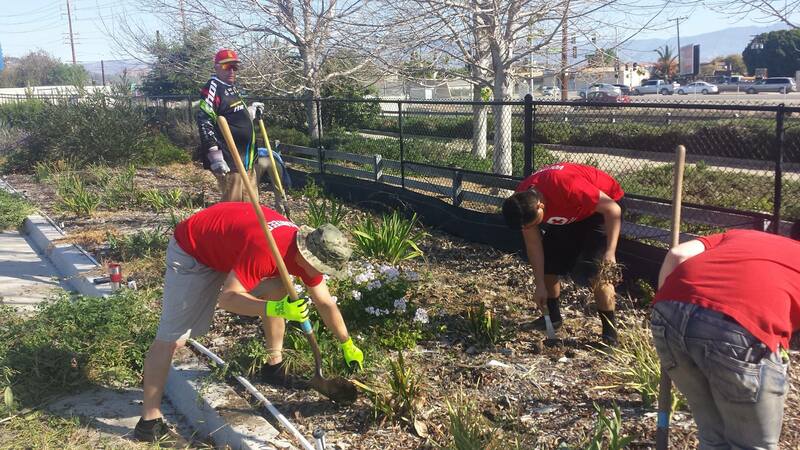 Red Cross Volunteers spend a Saturday planting a garden at a local Veteran’s Home. The history of the Red Cross began on the battlefield, supporting military members during times of war. 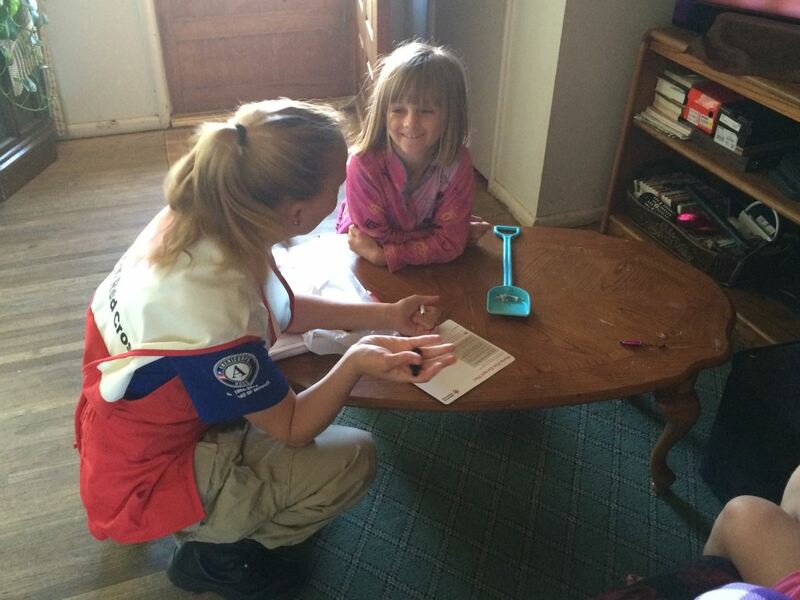 Today, the Red Cross continues to serve the Armed Forces, from the newly enlisted to long time veterans. So it’s only natural that the Red Cross Central California Region has continued this long tradition of supporting our local Armed Forces right here in our own community. Meet Laura, a Red Cross volunteer with the No Veterans Die Alone program. Watch her unique volunteer story and share it with friends and family. From May 22 – May 26, you can support the work of the Red Cross Service to the Armed Forces by making a donation using the generosity app from Google’s OneToday website and mobile app (download for free on Google Play or Apple App Stores). This app aims to create a culture of giving every day and lets donors easily give $1 each day to causes and nonprofits that inspire them. Thanks to generous support from SanDisk, your $1 donation will be multiplied by 1x, 10x, 100x, or even 1000x… up to $50,000. This fall the Red Cross of Ventura County is hosting the first annual Operation: Ride for the Red, a bicycle ride to support the local Service to the Armed Forces (SAF) program. On November 7, join us in a 30, 50, or 100 mile ride with all proceeds going directly to the SAF program and local military members. Check out the Facebook event page here. So between road trips and cookouts this long weekend, choose one of these ways to take a moment to honor those who sacrificed all to serve our country. Our Red Cross region has been lucky enough to receive assistance from five wonderful young ladies over the past couple of weeks; they helped with everything from disasters response projects to preparedness presentations. The Federal Emergency Management Agency(FEMA) and the Corporation for National and Community Service (CNCS) have launched an innovative partnership to establish a FEMA-devoted unit of 1,600 service corps members within AmeriCorps solely devoted to disaster preparedness, response, and recovery. In Santa Barbara the FEMA corps worked alongside of disaster volunteer, John Parsons, to help give our warehouses and trailers a well-needed spring cleaning. This group has truly made an impact and has increased our ability and confidence to respond to disasters. Keep your eye out for FEMA corps coming to your region! Any project that is handed to them is taken down with diligence and speed. We thank them for all they did for us!